Under California Penal Code Section 17(d) the court has the power in its discretion to reduce certain misdemeanors to an infraction. Certain offenses that a prosecutor charges as a misdemeanor can be reduced to an infraction after negotiations between prosecutors and defense attorneys. The reduction of a misdemeanor to an infraction is very important mainly because there is no way to be sentenced to jail for an infraction and because it shows how minor the conduct involved in the offense ultimately was. For those who are not United States citizens which includes: legal permanent residents, green card holders, those present on a visa, and those who have no status, an infraction may not be held against you for immigration purposes. Unlike, certain misdemeanor offenses that can lead to immigration consequences-infractions have been held to not lead to denial of any possible immigration relief that a person may be able to obtain. An infraction will not be held against you in the same way that a conviction for a criminal offense with possible jail time would be. In fact, recent cases have held that infractions should not be considered criminal offenses for immigration purposes at all. The reason why infractions should not be held as criminal convictions for immigration purposes is because infractions do not carry the same constitutional protections as misdemeanor and felony offenses, such as the right to counsel, the right to a jury trial, the right to confront and cross-examine witness and the right to use the free subpoena power of the court, among other constitutional rights. Relinquishing possession of a vehicle to a minor in violation of Penal Code Section 193.8(a). Disturbing the Peace in violation of Penal Code Section 415. Misappropriation of Lost Property in violation of Penal Code Section 485. Trespassing or loitering near a posted industrial property in violation of Penal Section 555. Trespassing in violation of Penal Code Section 602(m). Additionally, sometimes it is possible for a petty theft to be reduced from a misdemeanor to an infraction. A petty theft is reduced to an infraction in a limited number of cases, generally where the value of the money, labor, real or personal property taken is of such a low value and the person that is being charged does not have any other theft or theft-related convictions. It is important to note that although there are no bright line rules regarding the factors that the court should consider in reducing certain misdemeanor offenses to infractions the court does have the discretion to make such a reduction. 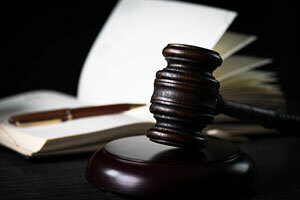 Similar to the court’s discretion in reducing a felony to a misdemeanor, it is likely the court considers the nature and circumstances of the offense, the defendant’s attitude toward the offense and defendant’s character traits evidenced by behavior and demeanor. With the representation of a skilled criminal defense attorney, all the factors and considerations to reduce a misdemeanor will be presented in the best possible light to persuade the judge to reduce the offense to an infraction. If you or a loved one has been charged with a misdemeanor offense or have recently been arrested, it is imperative that you consult with a Los Angeles Criminal Defense Attorney right away to determine whether this crime can be reduced to an infraction. Los Angeles Criminal Defense Lawyer Michael Kraut is a former Deputy District Attorney with over 14 years of prosecutorial experience who understands how to effectively advocate for clients. For more information about Los Angeles reducing misdemeanors to infractions, contact Los Angeles Criminal Defense Attorney Michael Kraut at the Kraut Law Group located at 6255 Sunset Boulevard, Suite 1480, Los Angeles, CA 90028. Mr. Kraut can be reached 24/7 at 888-334-6344 or 323-464-6453.